Happy Halloween! So, will any of you be dressing up today? I can’t remember the last time I dressed up. 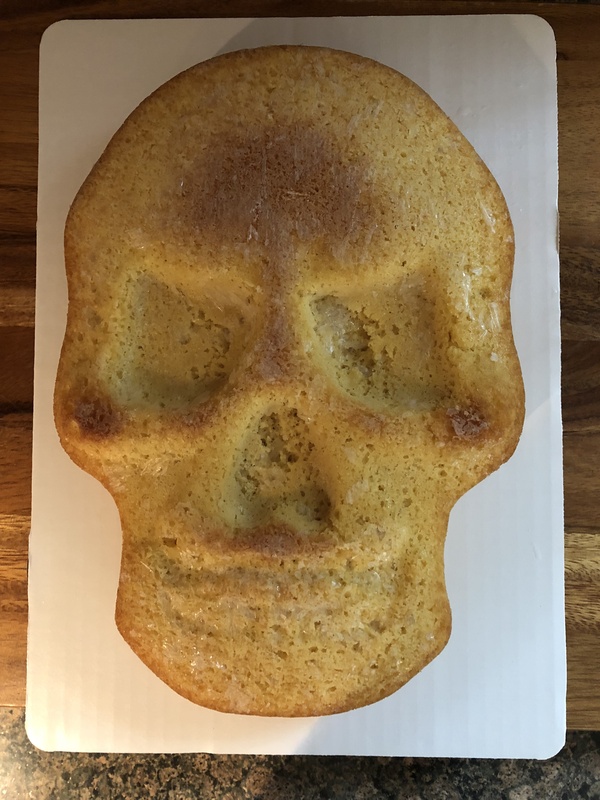 These days I prefer to dress-up my baked treats with a Halloween theme. 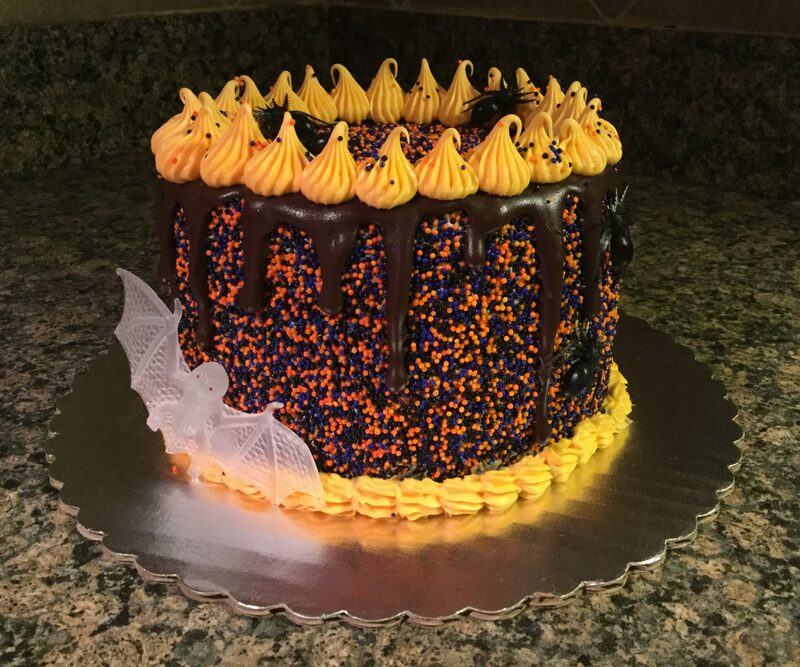 And this year, I made a Halloween themed Sprinkle Cake. If you’re wondering, a sprinkle cake is exactly what it sounds like. 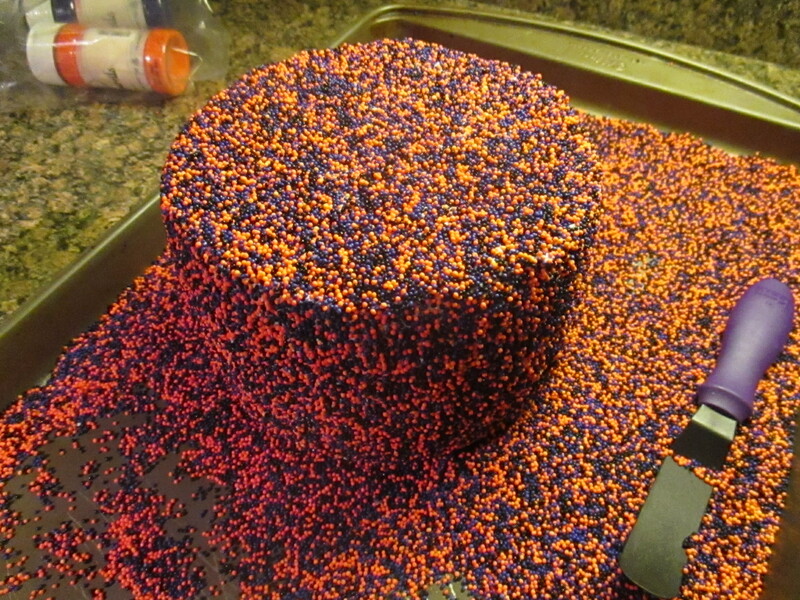 A cake covered in sprinkles. 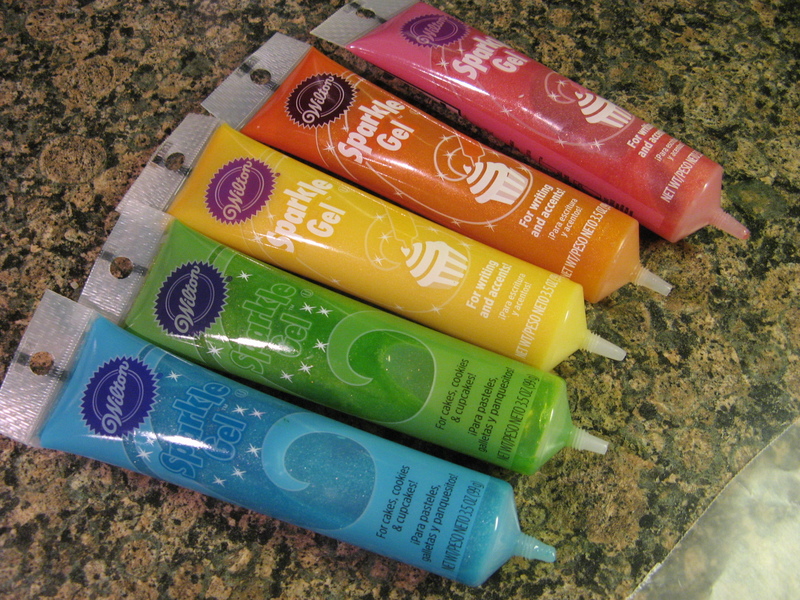 What’s fun and great about them, they work for any occasion… you just have to change the color of your sprinkles and you are all set. 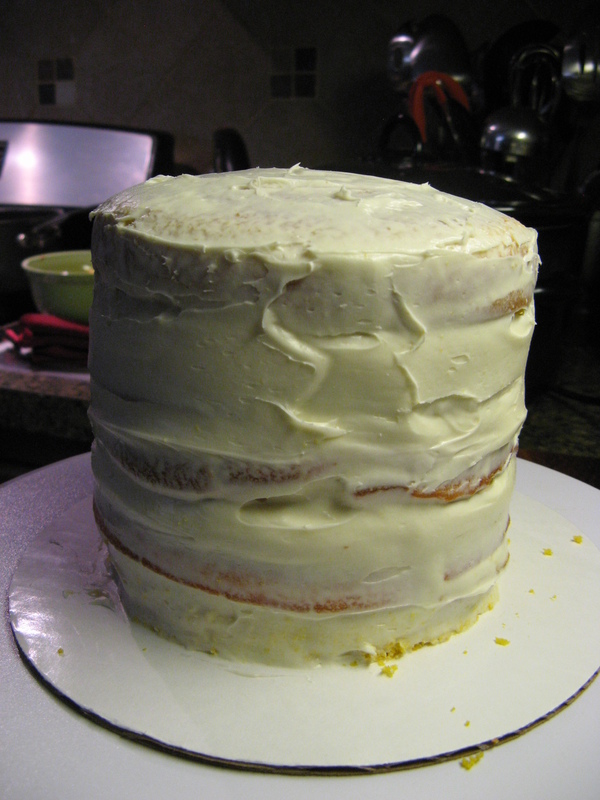 I started off by baking, crumb coating and frosting my cake – getting it as smooth as possible. 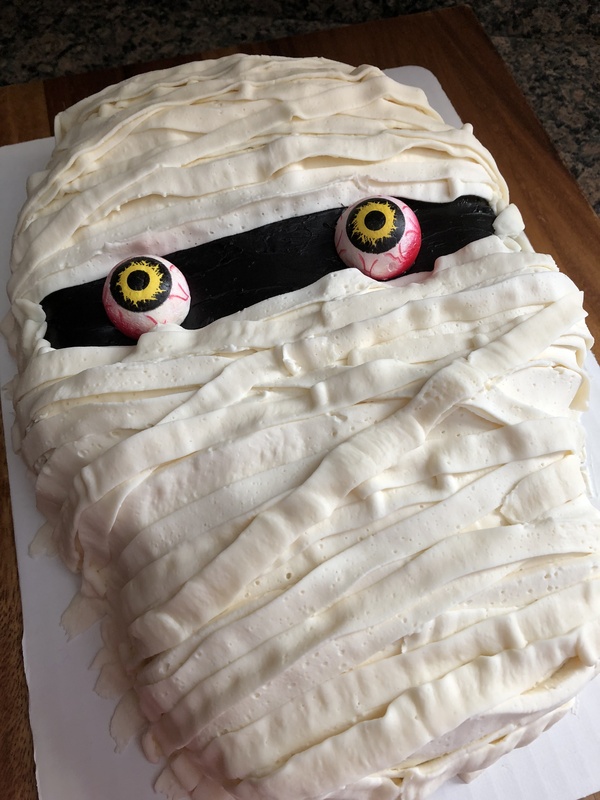 I opted to use a box cake mix – Pillsbury’s Halloween Funfetti Cake Mix – and store bought vanilla frosting – Betty Crocker Vanilla Frosting. 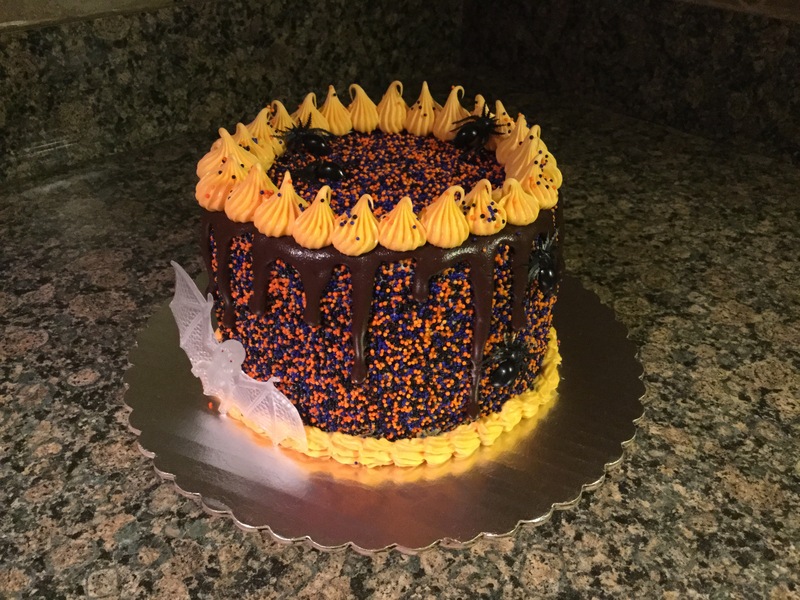 Since I wasn’t all that sure how many ounces of sprinkles I was going to need – I had a rough idea -and because I was planning on rolling the cake in a bed of sprinkles I opted to keep it small – 6 inches. 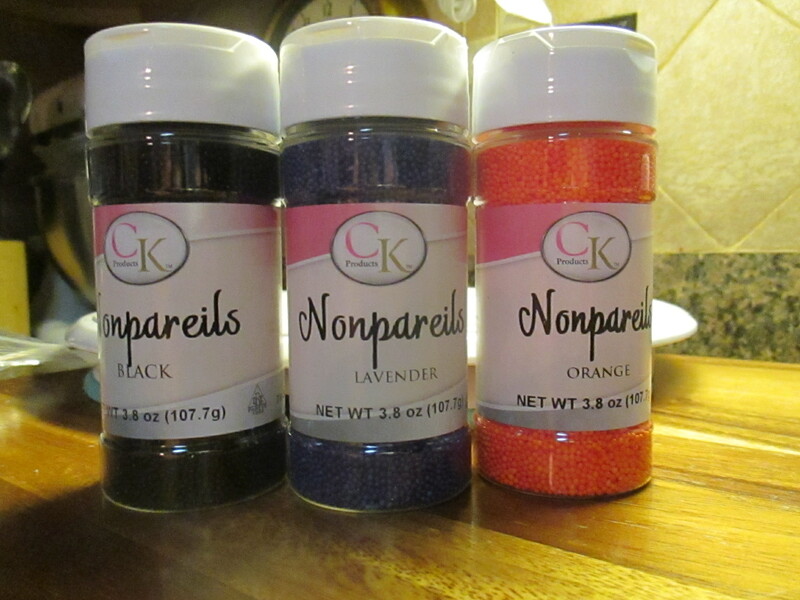 Speaking of the sprinkles… I order nonpareils – basically tiny balls of sprinkles – in purple, orange and black from NY Cake. I did a little research and they had the colors I wanted at the best price. I also ordered the green cupcake liners I used for the Cupcake Bouquet I made back in May from them. I went to their shop once in NYC and at the time I was just wandering around aimlessly looking at things. 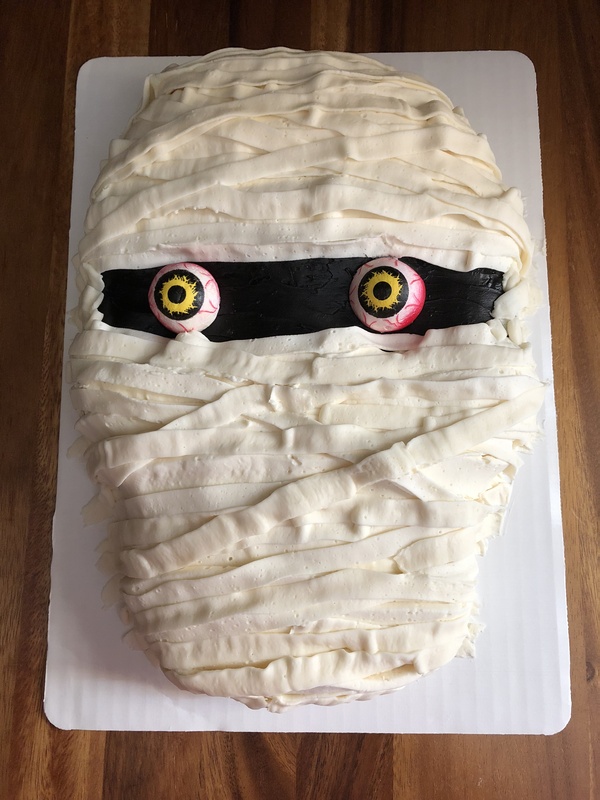 Since I decorate cakes more often now I am sure I would make the most of my next visit. 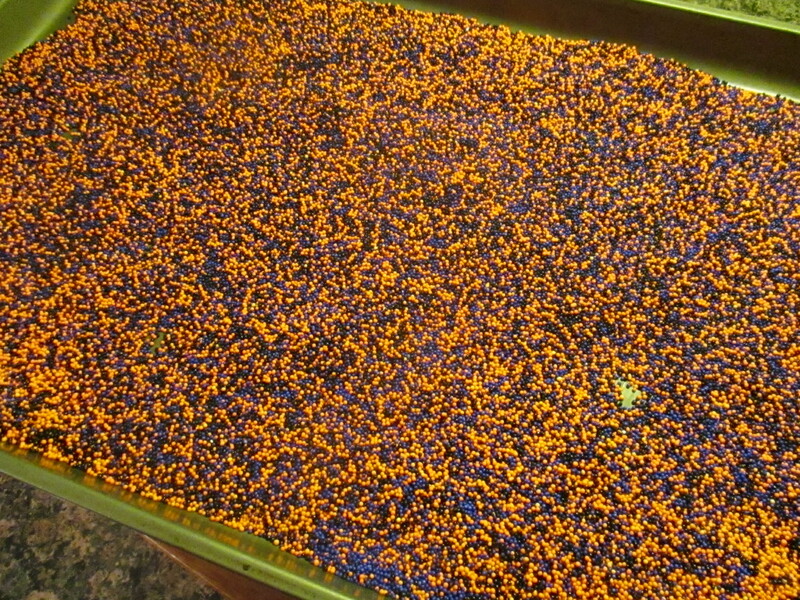 Next, I emptied the sprinkles onto a rimmed baking sheet and mixed them together. Let me just apologize now for my pictures. I need to stop baking and decorating at night and also on rainy days. 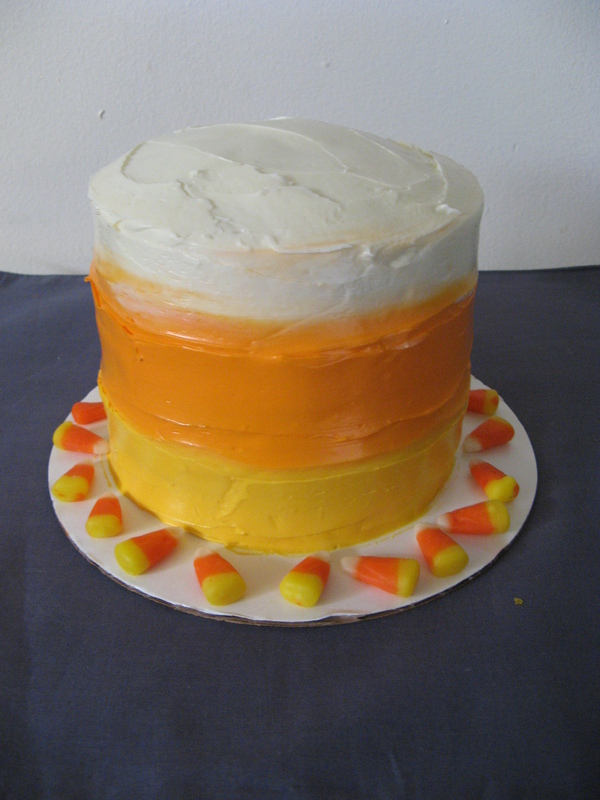 Well, I can’t control the rainy days, but, I could definitely pick better times to start my baking/decorating projects. To efficiently cover the cake in sprinkles I opted to roll the cake in the sprinkles. To do so, I placed a cake board on top of the cake, as well as the bottom, and simply rolled the cake in the sprinkles back and forth until it was covered. I used a spoon to cover any small spots I may have missed. To cover the top, I carefully removed the cake board and spread more frosting on it and poured handfuls of the sprinkles over it. To remove any excess sprinkles, I carefully tilted the cake to the side and tapped the bottom cake board so they could fall off. Now it was time for a little more decorating. I’ve been seeing a lot of cakes on Instagram with a chocolate drizzle and I have been wanting to try it myself. 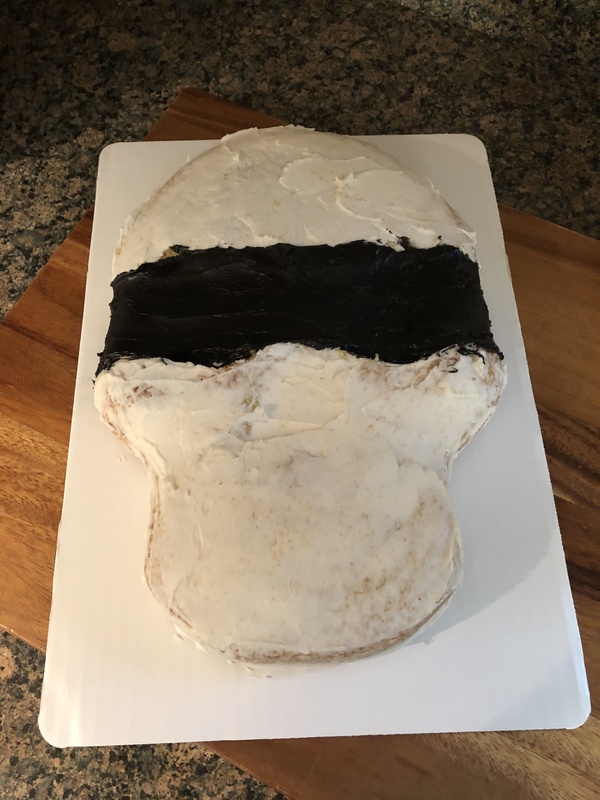 I decided that this cake would be perfect for that. 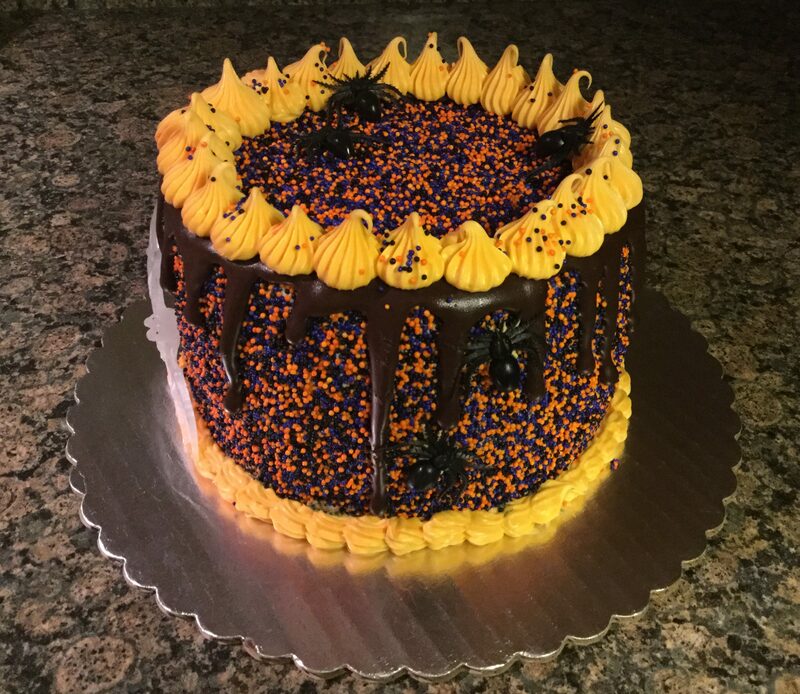 I made a chocolate ganache – the same one I made for the Pumpkin Crepe Cake – and poured it into a decorating bottle. I let the ganache sit for a few minutes so it would thicken up but still be pourable. You don’t want to pour it too soon or you’ll end up with a runny mess on your cake. 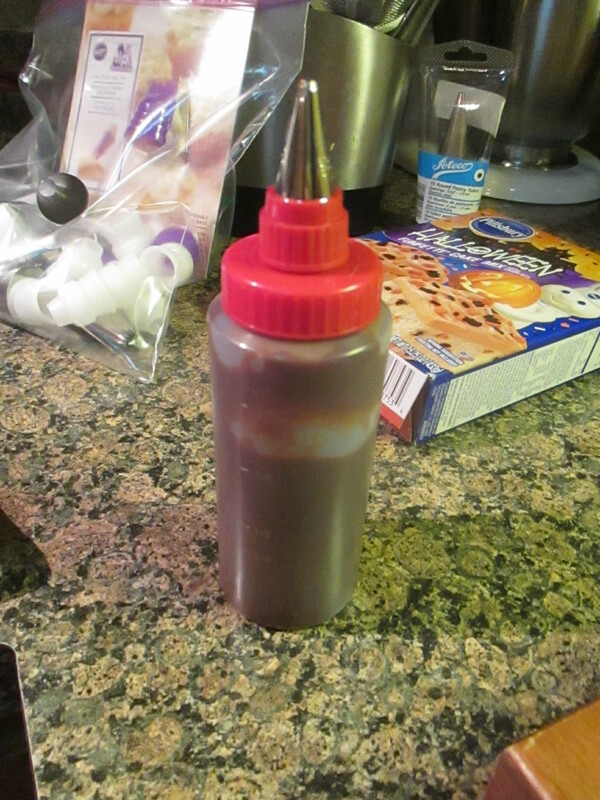 I put it in a decorating bottle because I was only planning on decorating the edges of the cake and the sides, but, if you want to cover the entire top of the cake you could pour the ganache in the middle of cake and then use an offset spatula to smooth it out and let it drip down the sides. 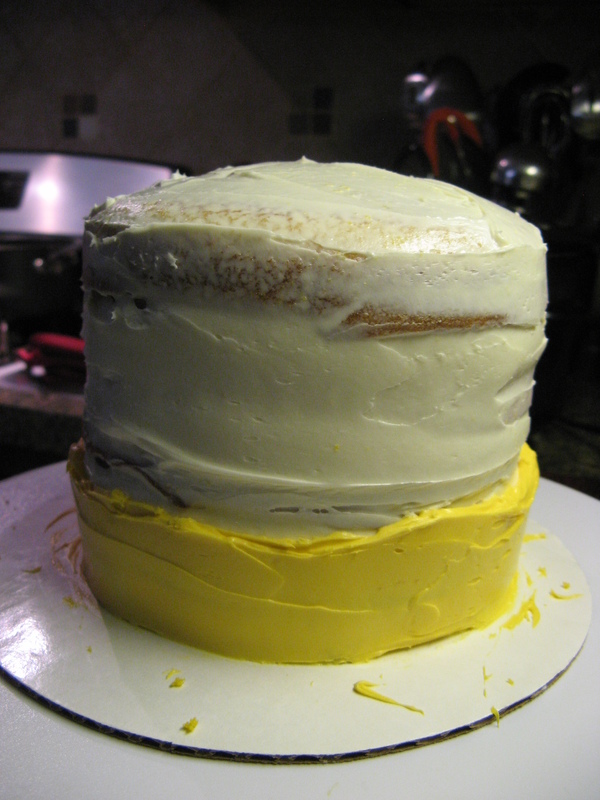 After that, I tinted some of the remaining vanilla frosting a light orange color and piped a border around the bottom of the cake and used a large star tip to decorate the top. 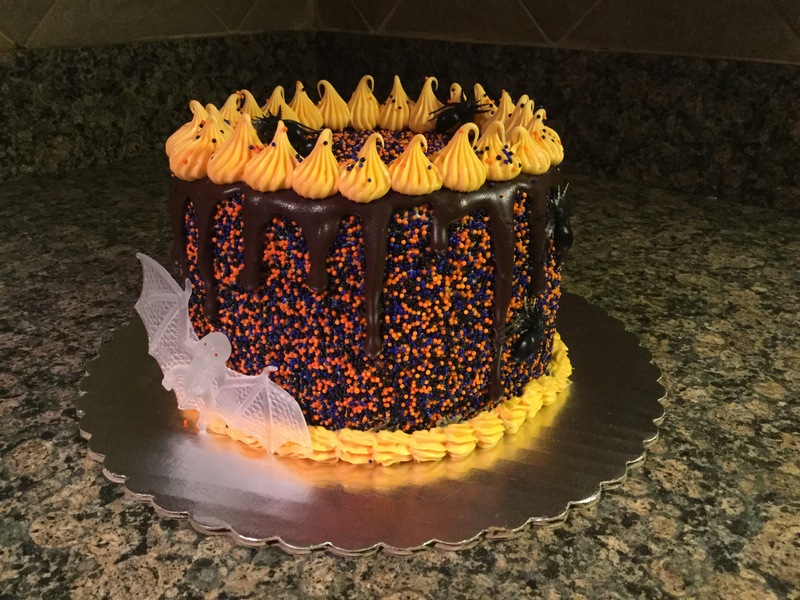 And finally placed a bat and a few creepy crawlers – spiders – on the cake for a final touch. I love how this cake came out! I can’t wait to make another one with a completely different theme. Happy Halloween! 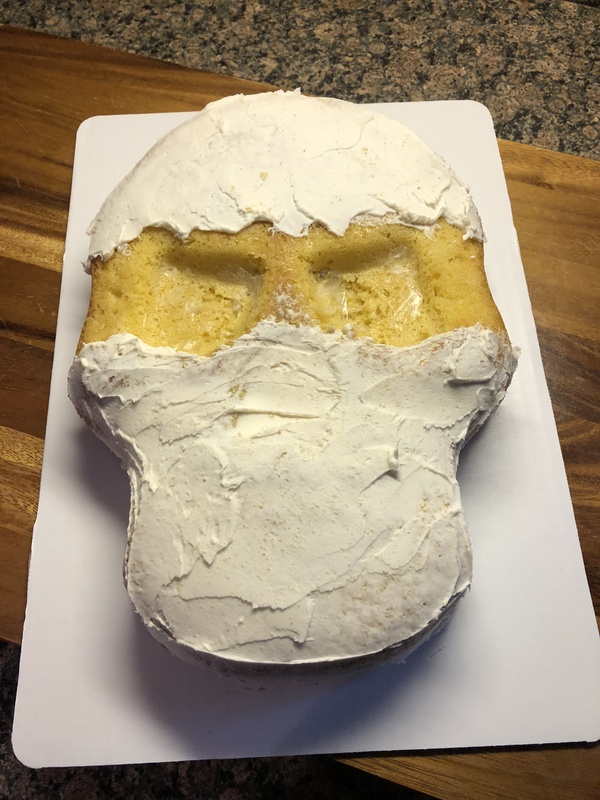 This year instead of a Halloween inspired treat I opted to go with a Día De Los Muertos (Day of the Dead) one instead. So, what is Día De Los Muertos you may ask? Well, it’s a three-day Mexican holiday where one remembers and celebrates friends and family members who have died. 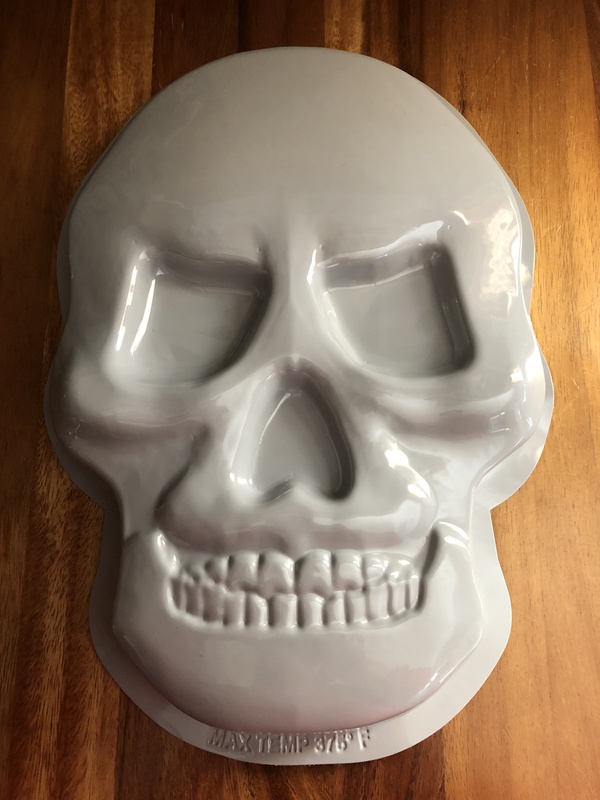 And while pumpkins and ghosts are symbolic of Halloween, sugar skulls are the symbol associated with this holiday. These are skulls that are colorfully decorated. The biggest difference I would say between the two holidays is how one celebrates death and the other fears death. With Día De Los Muertos people set-up altars to celebrate the dead, bring food and/or beverages, among other gifts, to their loved one’s grave site. While with Halloween, children wear masks and costumes as protection and jack-o-lanterns are meant to ward off evil spirits. So, whichever you choose to celebrate, or if you are among those who did not celebrate at all, I hope you have a wonderful day filled with candy! One of the reasons I decided to go with this theme was because I was giving these cupcakes as part of a birthday gift to a friend who really likes the décor of the holiday and she’s probably a bigger pumpkin spice fan than me. 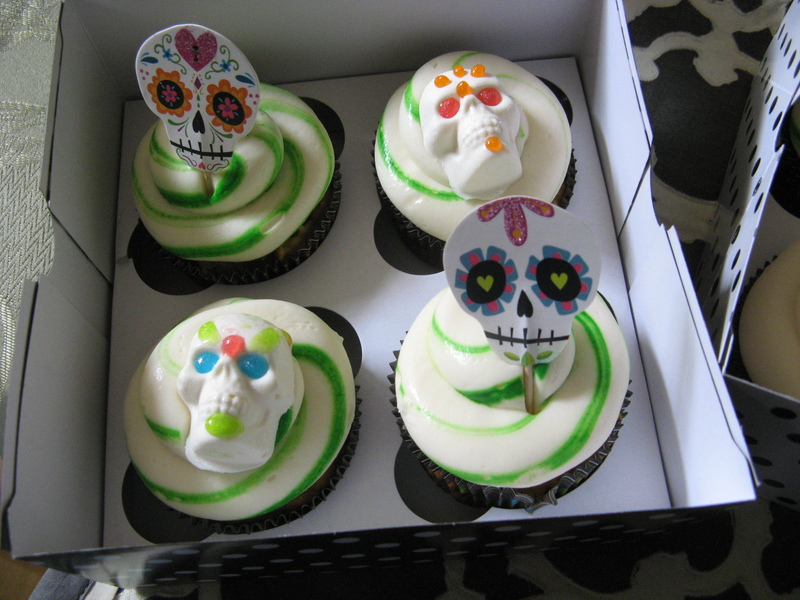 I began these cupcakes by making the sugar skull toppers. 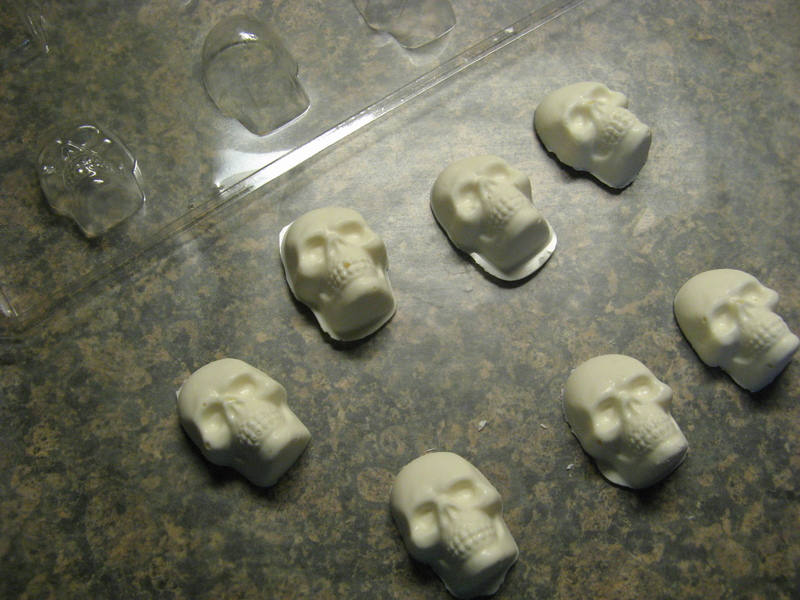 I melted Wilton White Candy Melts and poured them into skull molds and then placed them in the refrigerator so they could set. 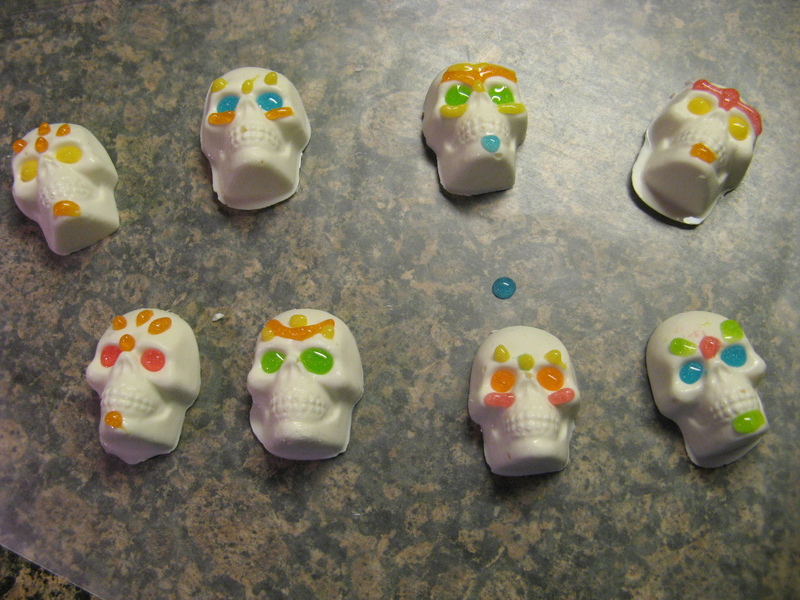 I decorated the skulls to mimic sugar skulls and then placed them back in the refrigerator. A few days later I made the cupcakes. To make the batter I began by whisking together melted butter, oil and milk. Once that was well combined I added in brown sugar and continued whisking until it was smooth. And then finally I added in vanilla extract and eggs. In another bowl I combined the dry ingredients (flour, baking powder, baking soda, cinnamon, nutmeg, ginger, cloves and salt) and then added them to the wet ingredients. Next I folded in pumpkin puree and chocolate chips. 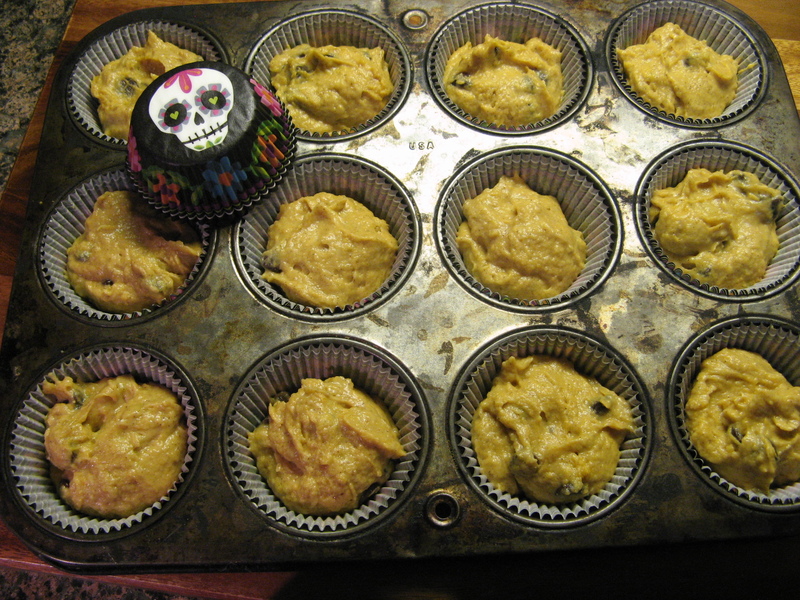 I then filled Día De Los Muertos themed cupcake liners about 3/4 full and baked them in a 350 F preheated oven for about 20 minutes. After letting them cool completely I made a cream cheese frosting to top them off. So the sugar skulls would pop a little I opted to stripe the inside of the decorator bag with green before adding the frosting to pipe. 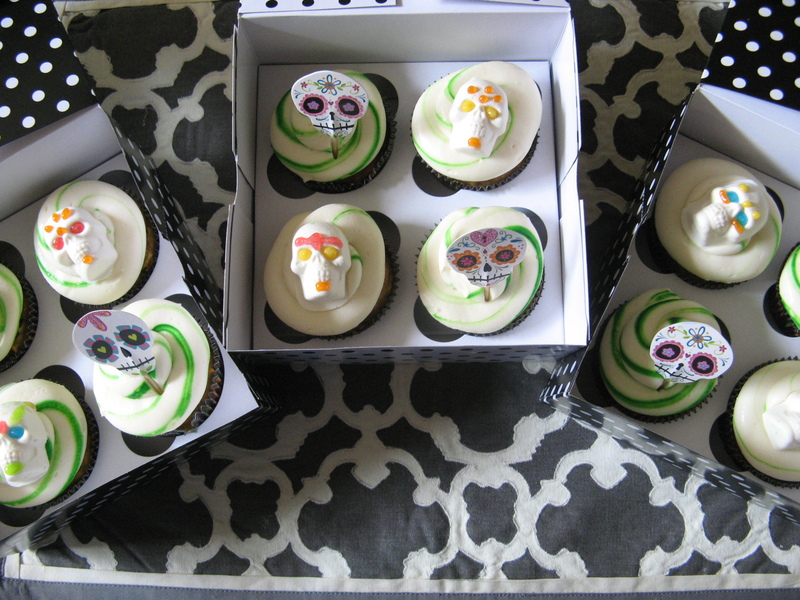 And there you have it… Día De Los Muertos Pumpkin Cupcakes. Preheat the oven to 350 F and lined a cupcake pan with cupcake liners. 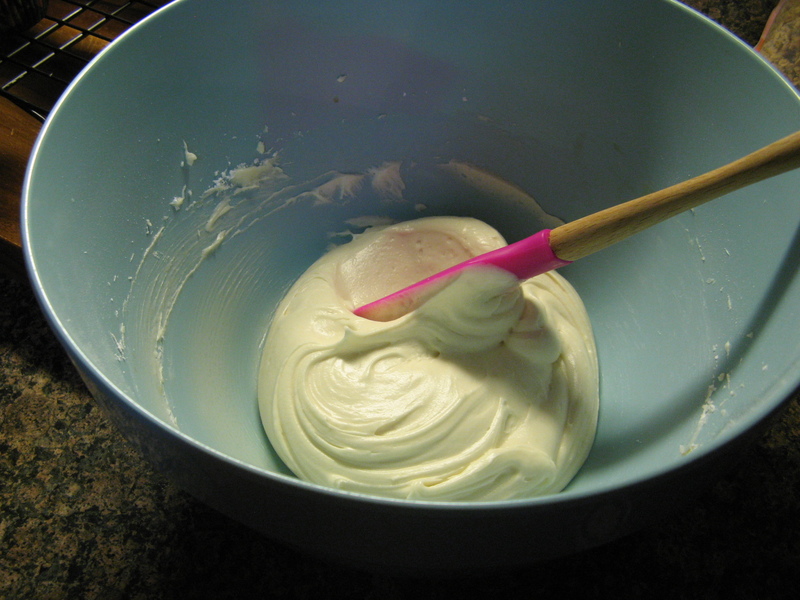 In a large bowl whisk together the butter, oil and milk until smooth. Add in the brown sugar and continue mixing until smooth and finally add in the vanilla and eggs, continuing to whisk until smooth. In a separate large bowl, combine the flour, baking powder, baking soda, cinnamon, nutmeg, ginger, cloves and salt. 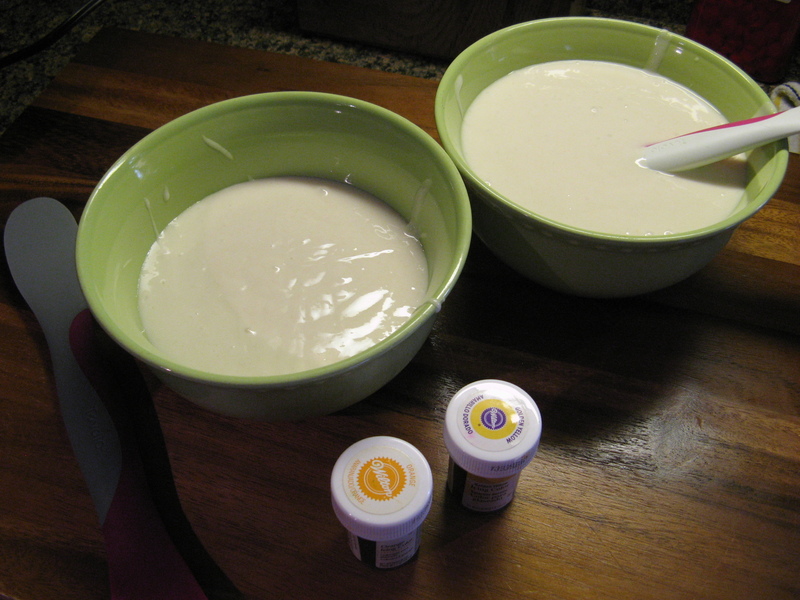 Add the flour mixture to the wet mixture and mix it until smooth. 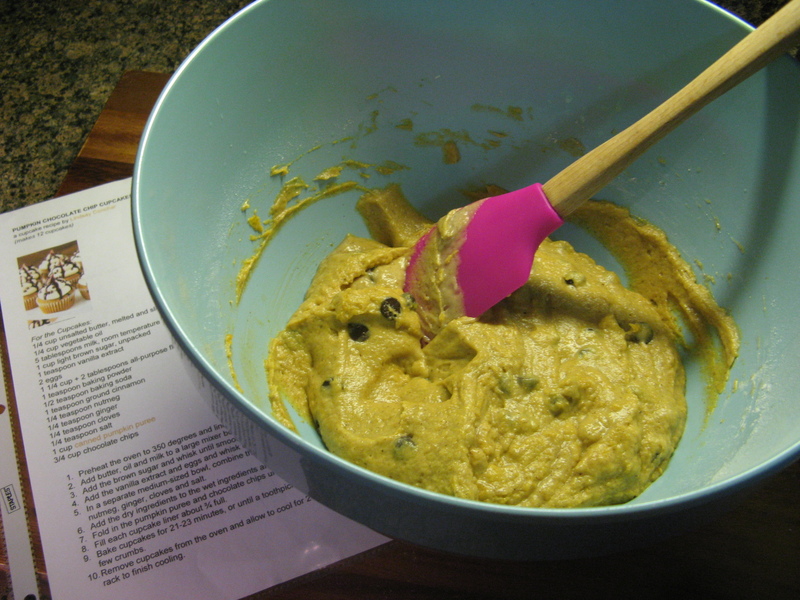 Fold in the pumpkin puree and then the chocolate chips until well combined. Fill each cupcake liner about 3/4 full and bake for about 21-23 minutes, until a cake inserted in the center of one of the cupcakes comes out clean. Let cupcakes cool in the tin for a few minutes and then transfer to a wire rack to cool completely. Combine the cream cheese and butter in a large bowl and mix together until smooth. Add half of the sugar and mix until smooth, then add the vanilla extract and continue mixing. Finally add the remaining sugar and continue mixing until smooth. 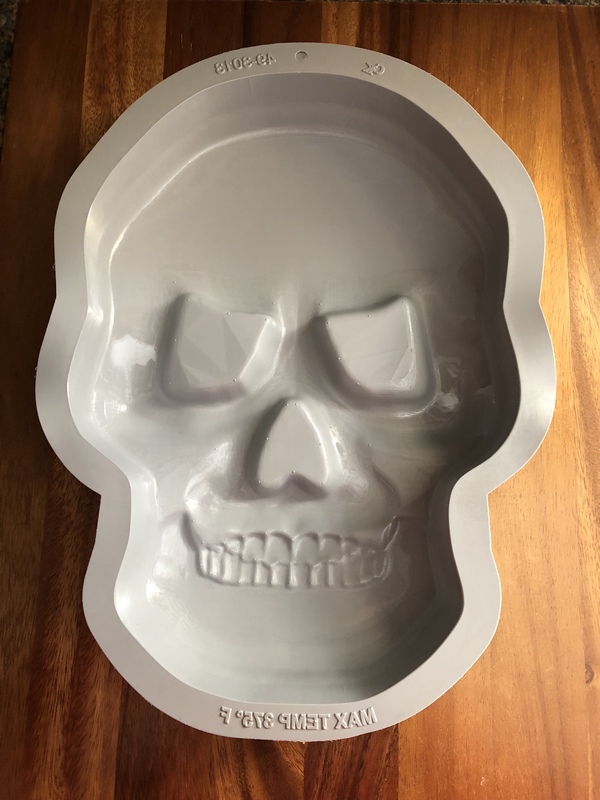 Not all Halloween treats have to be spooky ones. 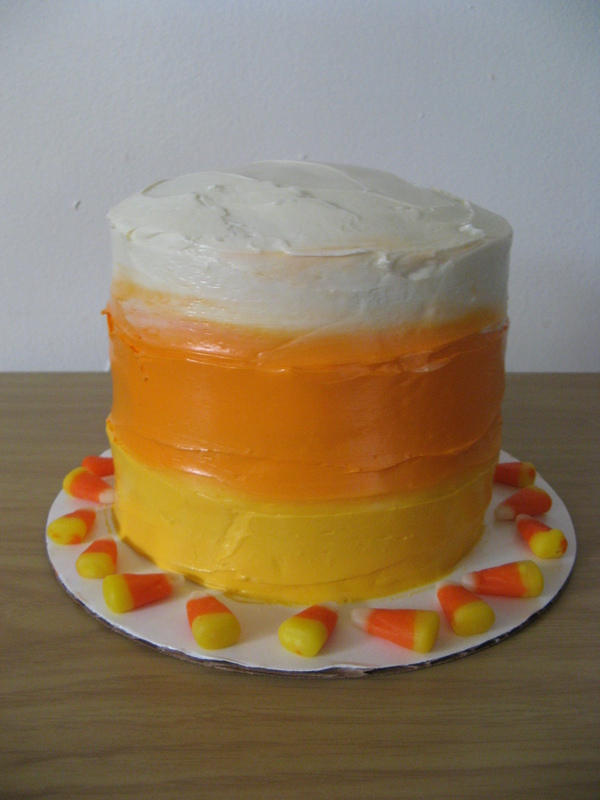 This ombre cake is simple to make with 2 tubs of vanilla frosting, a box of white cake mix, yellow and orange food colors, your favorite cake filling and is inspired by a candy that is synonymous with Fall… Candy Corn. There’s nothing spooky about that. 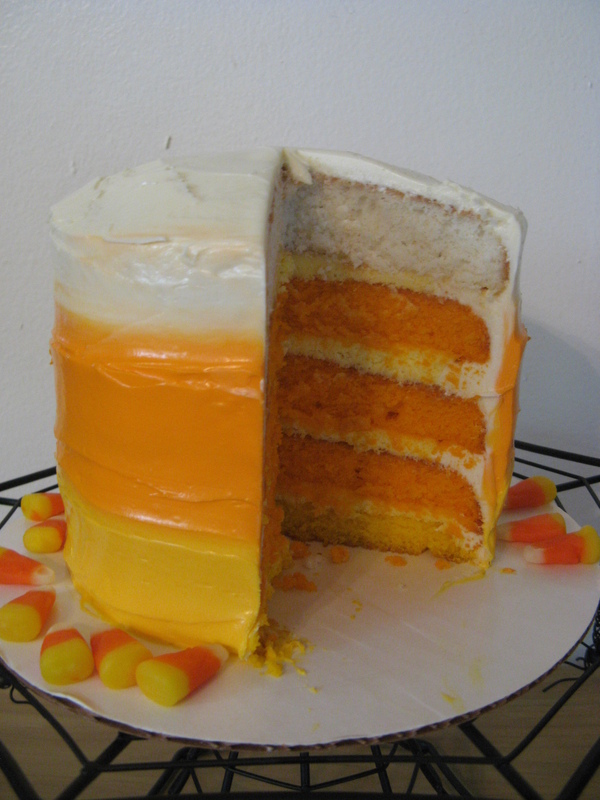 I used my Wilton 5-layer pan set to make this cake since I wanted the inside of the cake to emulate a piece of candy corn as well. But, there’s no need to get that precise. You could simply bake a two-layer, three-layer or a one-layer cake and let the frosting on the outside speak for itself. 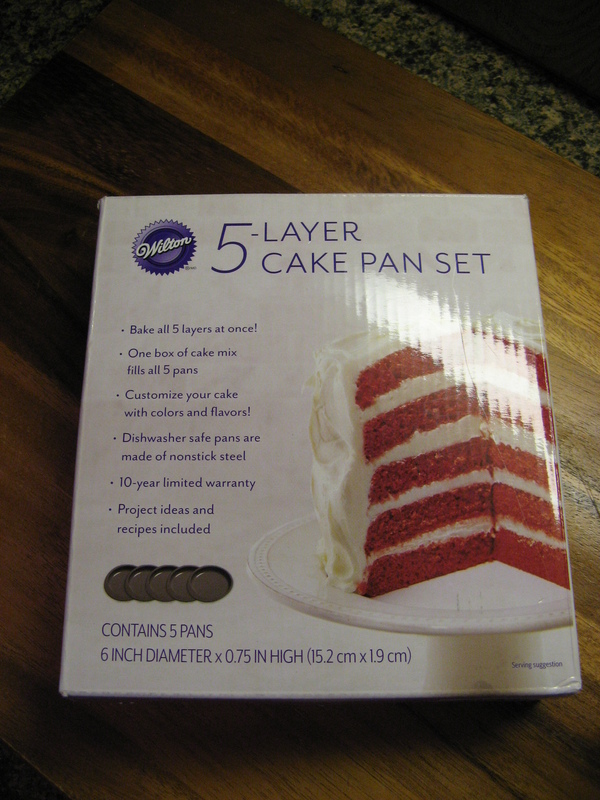 Since I was planning on tinting the cake batter I opted to use a box of Betty Crocker White cake mix. 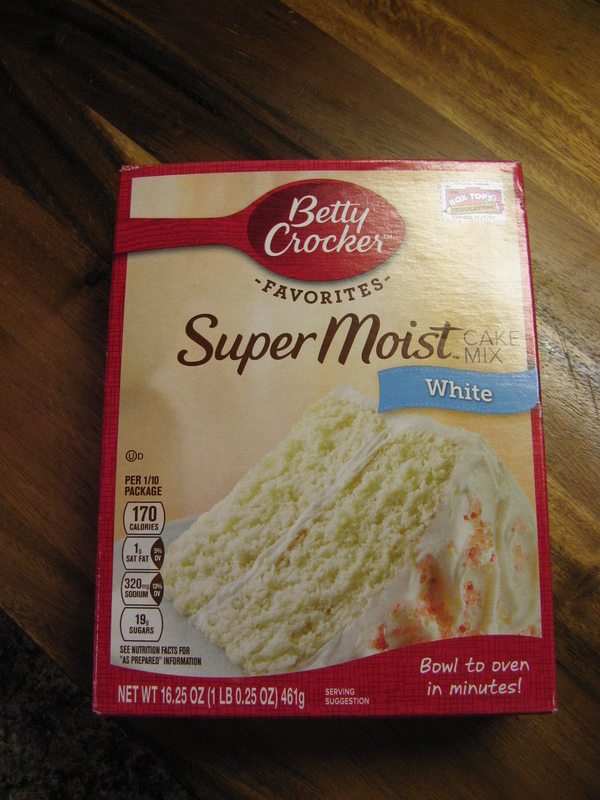 Betty Crocker is my go-to cake mix when I am not in the mood or just don’t have the time to make a cake from scratch. After mixing the batter per the directions on the box I divided the batter to tint it. From making quite a few cakes in the past I knew that the batter yielded about 4 cups so each pan would have just shy of a cup of batter. 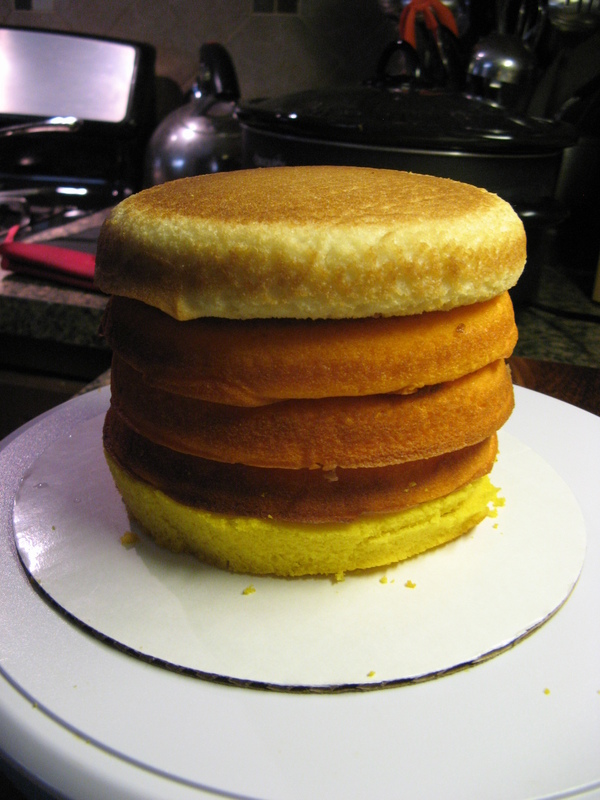 Since the top layer of the cake was going to be white I immediately poured that batter into one of the prepared pans (I sprayed it with baking spray) and then divvied up the rest of the batter to tint – about 3 cups for the orange layers and 1 cup for the yellow layer. 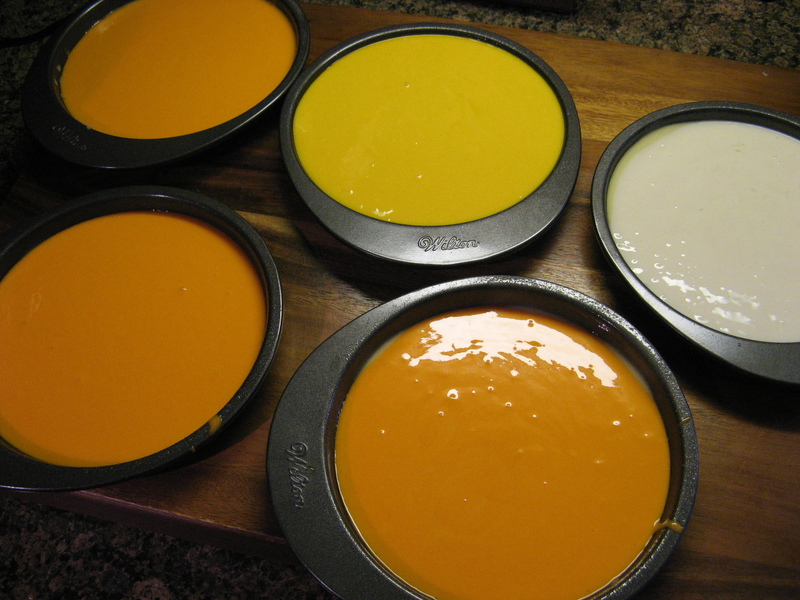 Following that I poured the yellow batter (the bottom layer) in the prepared pan and divided the orange batter (the middle layers) among the three remaining pans. It was then time to fill the layers – I opted to fill them with a quick vanilla mousse recipe that uses two ingredients: 2 cups of heavy cream and Jell-O vanilla pudding mix. 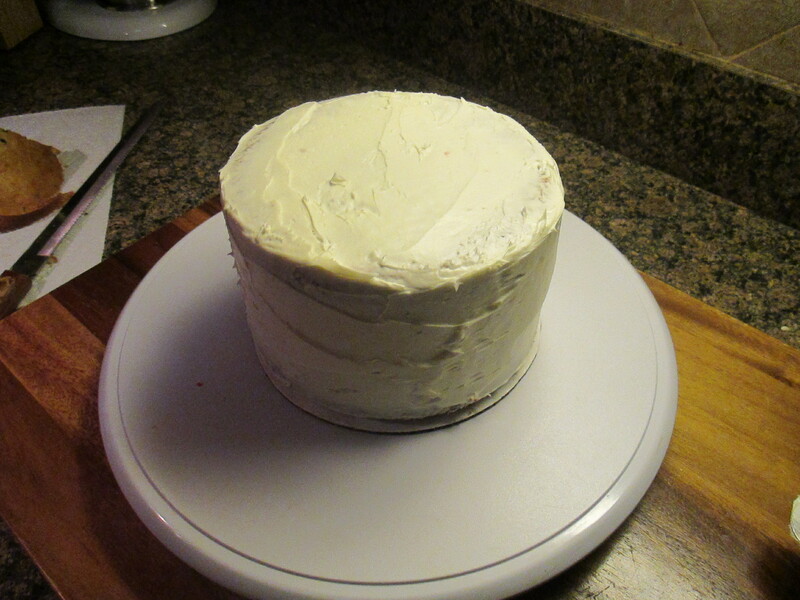 And then I crumb coated the cake with vanilla frosting and placed it in the refrigerator for about 20 minutes. 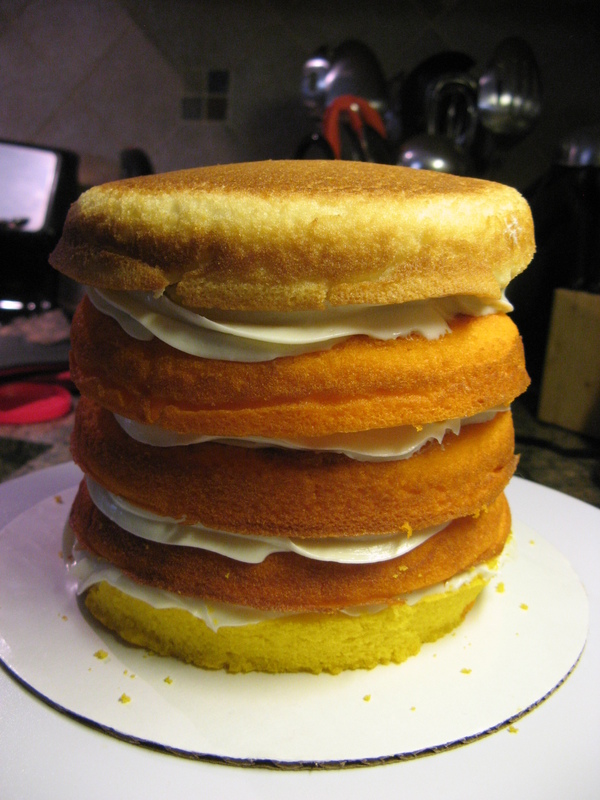 Next I tinted about two and a half cups of the vanilla frosting with the orange food color and spread that along the middle of the cake and finally I used the vanilla frosting untinted to frost the remaining portion of the side of the cake as well as the top of the cake. 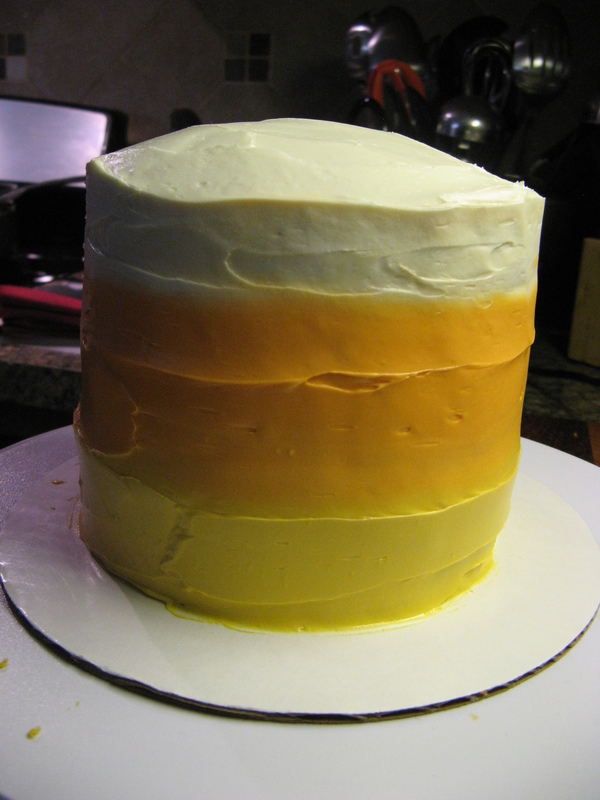 To create the ombre effect, I smoothed the sides of the cake with a long icing spatula. 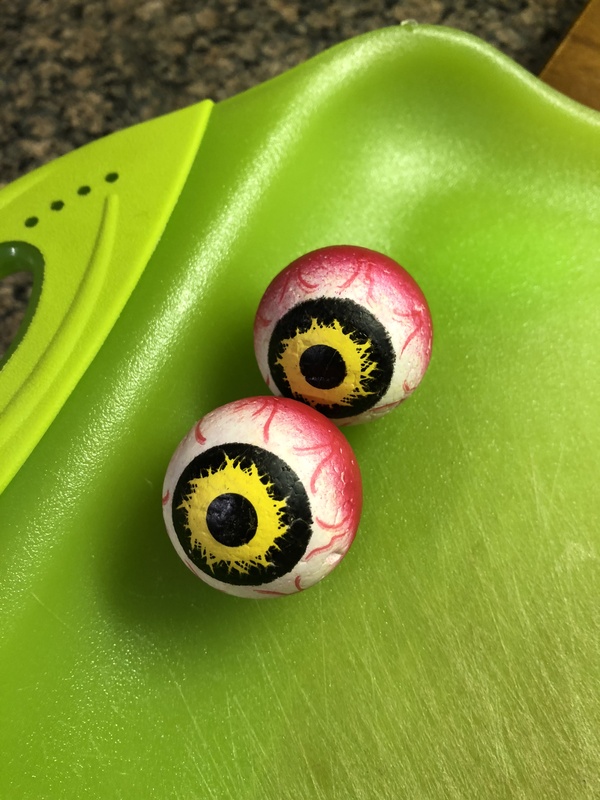 And there you have it, a super cute and super simple unspooky Halloween treat!